This is a study for what will eventually be a national monument saluting the dogs that have served our country. 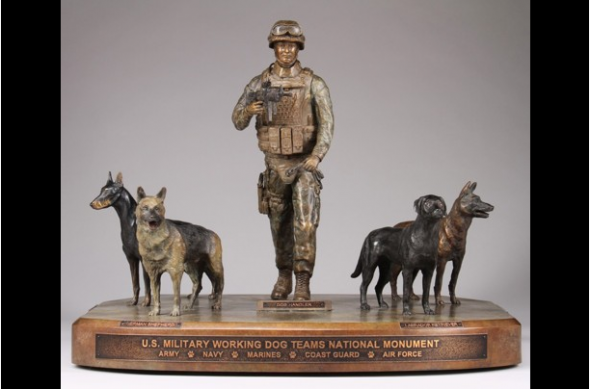 When it is completed sometime in 2013, the monument will reside at Lackland Air Force Base in San Antonio, the spot where most of our nation’s military dogs are trained. The featured breeds are: Doberman Pinscher, German shepherd, Labrador retriever and Belgian Malinois. For more details, click here. This entry was posted on Wednesday, October 31st, 2012 at 9:09 AM. It is filed under Blog. You can follow any responses to this entry through the RSS 2.0 feed.